There's a cute little teddy bear in Risk of Rain 2, and players would be wise to seek it out. 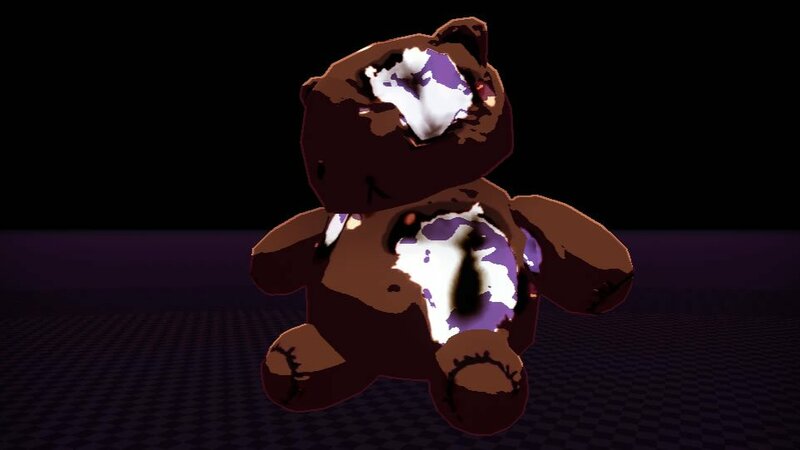 The teddy bear itself has clearly seen Tougher Times, hence its name as well as its ripped facade, but it also has the unique ability of protecting the survivor from incoming damage. Keep reading to learn more about how the teddy bear in Risk of Rain 2 works, including how its ability grows at higher stack counts. The teddy bear in Risk of Rain 2 — properly known as Tougher Times — is among the most useful items in the game. It provides a 15 percent chance to block all incoming damage on top of the survivor's base luck stat. Like many other items in the game, Tougher Times also stacks, meaning with enough teddy bears, players could theoretically become invincible. Clearly the little teddy bear has seen better days. In practice, however, that does not seem to be the case. While the game software states that the Tougher Times ability increases the block chance by an additional 15 percent per stack, the truth is that the buff does not grow at a flat rate. As discussed by several users over on the Risk of Rain subreddit, the Tougher Times ability doesn't exactly correspond with a 15 percent chance — more like about 13 percent — and its damage blocking equation is set up to provide diminishing returns as more teddy bears are collected. 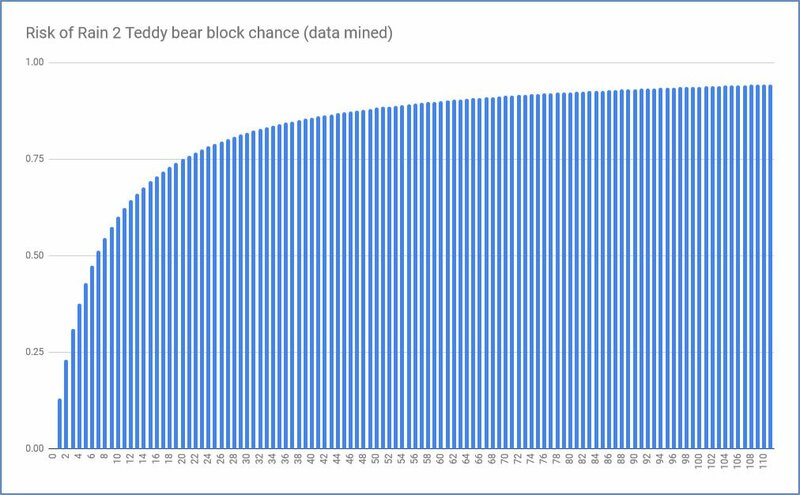 The above graph pulls together data from several users indicating the block chance offered by Tougher Times in comparison to the number of teddy bears held. The data shows that three Tougher Times teddy bears will correspond to around a 30 percent chance to block damage, whereas seven are needed to reach a 50 percent chance. Reaching a 100 percent block chance is simply not possible, though players can get around 75 percent if they manage to stack 20 teddy bears in a single run. Make no mistake: The teddy bear in Risk of Rain 2 can absolutely save your skin. The Tougher Times item is certainly worth keeping around, especially around seven or so stacks. However, when it comes to ramping up stack count to increase the buff beyond that number, players will begin to see starkly diminishing returns. Keep on top of more coverage of Hopoo Games' latest release by heading over to Shacknews' Risk of Rain 2 home page.